One of the most unique plugins in the history of WordPress, the CommentLuv Premium plugin provides a simple way to increase comments, and social sharing of your blog posts, plus other great features included in the CommentLuv Premium version. I’ve been using the free version of CommentLuv plugin on my blogs for more than three years since I first started blogging. I remember that I’ve published a lot of posts about the plugin in the past, but I haven’t done a review post for it, so here is my review of the awesome CommentLuv Premium. CommentLuv is a unique piece of code developed for the WordPress CMS that gives you the ability as a blog owner to award your visitors by allowing them to leave a comment to their own recent blog posts, so basically this was the main idea of the plugin. But Andy -the founder and developer of the CommentLuv- realized the power of social media and added cool new feature to CommentLuv, this actually leaded to a brand new premium version of the plugin. So, now that you’ve enabled CommentLuv Premium on your blog, you will be able to benefit by doing some easy social media marketing. Well, actually you won’t be doing anything, but your blog readers and visitor will do! They will find your CommentLuv Blog! It’s pretty easy, you just need to install and configure the plugin, and …wait! 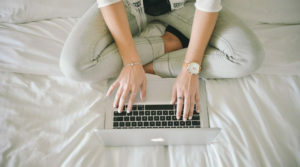 Don’t even bother to call your friends or scream loud asking your people to comment on your amazing and informative blog posts, all what you have to do it to wait! How they will find you? They will search trying to find CommentLuv enabled blogs. So yes, they will find you, they will comment on your blog, and they will probably share your post to unlock the RSS feed menu so they can pick a link to one of their recent blog posts. This makes the CommentLuv Premium social, and really smart plugin! Hit many birds with only one CommentLuv plugin! CommentLuv Premium is not really one plugin, however you can consider it one plugin, but in fact; it’s a set of useful plugins combined into one! CommentLuv will automatically add the users last blog post to the end of the comment that they make on your site provided that they include their URL and it has a feed available. It can also show information about each link left when a user hovers their mouse over the link. TwitterLink comments will add an extra field to your comment form to allow your visitors to add their twitter username along with their comment. The TwitterLink used to be a stand alone plugin, but it’s included now in the CommentLuv Premium. GASP is extremely effective at combatting spambots and trackback spam. Keyword Name provides similar functions to the popular KeywordLuv plugin but does it in a way that keeps the name of comment author “clean” by storing the keywords separately to the name in the database. There are 1000s of blogs out there using CommentLuv, I highly recommend it, so consider enabling it on your blog and give some luv. I am just trying out the free version at the moment. I wanted to see what the premium version offers over the free version. After a bit of searching I found your review which is very good at listing all the features. Great review on comment luv, the best plugin i ever had. It encourages visitors to drop comments on your blog. Hi Hesham, Great review of CommentLuv. I just wrote one myself. I only have good things to say about it. Nothing negative about this plugin at all. And I got it when it was on special, best deal ever. And I haven't had any spam yet. Hi! First of all thanks for the review. I'm still thinking whether I should go premium or settle for the free one. By the way can I do nofollow links on the Free version? This plugin is a great idea but do they offer an aff program for the premium version? Hi Brad, Yes they do have an affiliate program, just visit their page to find out more! The free version was great but upgrading to CommentLuv Premium was a must for me. I now get far more traffic and comments on my site and product sales have increased. Recommended for newbies and experts alike. I am trying to gather information about CommentLuv. Thanks for sharing your personal experience. I love this, thank you for notifying me. comment luv plugin helps in attracting visitors and I also find good and suggestive comment at my post. Hey Hesham! I just wanted to know that it's been about a week since I installed CommentLuv+ on my site(s)...but yet when I go to the CommentLuv search engine, nothing from my site shows up! Even when I type the website with a (.com), nothing comes up! What could be the problem? CommentLuv is really great. I still don't have the premium version, but that is Ok since I need to have the "respective" amount produced from my blog. I totally want to say for the beginners to install CommentLuv on your blog which will encourage visitors to comment. The people are comments to the blogs, sits or etc. tools are used for the commenting for increased the ranked. I like the commentluv there is so interesting points the all of the commenter are comments for old version of commentluv and it really works well. And here I thought I knew everything about commentluv...I hate being wrong. Side note, nice use of rich text snippets, I still haven't really gotten them down yet but google seems to know that this is a review. CommentLuv type of blogs are just awesome, it gives you information as well as backlinks.. I have found your blog interesting. Comments Love plugin for ther bloggers is so nice thing to have, because it provides traffic when you leave a comment on someone’s blog, but it also adds to the use of SEO, i will try this plugin soon. Not just SEO but also it decreases the bounce rate. I’m about to start using the ordinary CommentLuv plugin on my own blog. I think anything than can motivate people to write meaningful comments on my blog is going to help. $67 is not that much money, but have you seen significant results from the Premium CommentLuv plugin? Getting comments on your blog basically depends on your niche and audiences, and in particular the way you write! So, you don't expect much if you don't have great conversationally content that teas reader to put their input, then you take it from there and start engaging with them, make relationship and try to make them coming back to your blog to read some more exciting and informative content, simply because they will remember you, and remember you blog! Plugins doesn't do that! Plugins are tools that make things more easier, add functionality, and probably give some kind of award that make your blog readers comment on your blog! The premium plugin simply increase your social sharing, plus two main other things that I see, it include other useful plugins and high class support! Finally, it's all up to you, try the free version, then see by yourself if it's working for your blog or not, then think of getting a premium version based on your own experience! It's really simple! 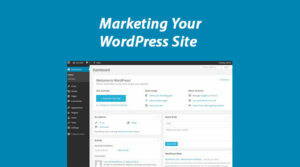 I just installed this plugin on my WordPress blog. Once installed, are there any other tools you would suggest to let users know that I am now using CommentLuv? mmm... well.. don't worry about that, they will find you! There were a few "word of mouths" regarding Commentluv lately, but I still find it a great method to comunicate with relevant people, that are interested in the content of your blog niche. I have a strong feeling that CL is going to last and develope throughout the next years. I've been using the commentLuv free version on my site and really love it. I'd like to go to the premium version in the future but right now i'm just trying to get it to the level where it's making some money first. But overall commentLuv is a great plug in for comments. The premium version is well worth purchasing. It really is a great tool. As you are using premium commentluv plugin then why still all comments are nofolow? I cant understand. Then what is the use of premium? I am controlling in what condition I should remove the dofollow, that's a premium! Means if I liked your post while commenting then my link will dofollow? Ohh .. That the logic . :) I understand.. But how people can understand this ? I mean you will not get that much like unless you post this logic. Well you're certainly right that we'll find you! A Google search for "commentluv premium" is exactly how I found this post. One word of warning to your readers though - don't go out and immediately blast any more than 10 blogs with your comments, or you may fall foul to the Akismet plugin which looks out for commenting frequency! 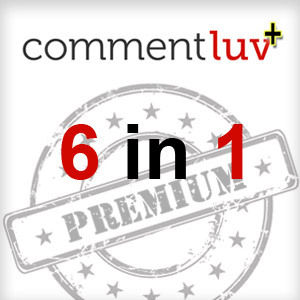 It is an excellent review that helped me make up my mind to buy CommentLuv Premium for my site. I have installed CommentLuv for giving benefit of Dofollow link to my visitors and it is really beneficial for the site. Thanks for the review. The premium version does have benefits, one of the best is being able to mark posts / pages as favourites, and you always get to choose one of these favourite items to back link.. 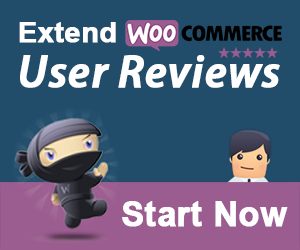 Thanks Hesham, I had been looking for a good review of Comment Luv to understand all the benefits, it definitely sounds like a worthwhile addition to any website. Thanks. Hi Michael , Actually it's a new plugin in development, I will release it as soon as I can, but it will work under Thesis Theme only! I have heard a lot of good things about CommentLuv and I remember in the first few days of its launch there was a similar offer where I think it was available for below $50. But I still believe that this is an investment worth considering for bloggers who have an audience already, rather than newbies who are still struggling for traffic and not getting enough funds from their websites. I'm just now trying comment systems and I guess Commentluv is one of the best. It's easy and one of the best for engaging visitors. Merry Christmas!!! The premium version is too good and am really into buying this but the price is high on my budget.. I guess I would have to wait for it then..
You should buy it, Raj. 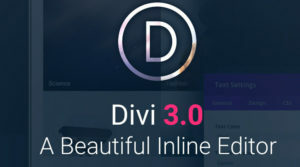 i've been using it and the result is much better than i expected, more visitors come to my website and i can manage the linkjuice from my website by dicide which link is noffolow and which is follow. It has some other great features that you've got to see yourself. I finally bought the premium version and it really is as great as Andy promotes it. Everyone who needs SEO should buy it. Great Post. I have reviewd this premium plugin. it is going well. If i want more traffic, more comments and eventually more advertisers spam with it, what i have to do? please let me know. I am using the free version of comment luv plugin on my blog, and I love it! It is really helpful for everybody else on the blogosphere while also creating social buzz and increasing interaction with my readers. I am new to the blogging community, but will surely consider buying the premium version of the plugin as it really has some great functionality! The social sharing incentive is really a smart move with this plugin. Good posts will go viral on the web. It is like a snowball that gets bigger and bigger with every comment that is added. Including GASP makes sense as it's excellent at blocking (rather than filtering) comment spam and combining with Twitterlink and Keyword Name means less plugins in total - although they keep the same functionality I suspect that the load on your server is reduced by having all these functions integrated in a single plugin/set of calls. Can't justify it on price at the moment but hopefully in the new year! Hi there. I am using the olde version of commentluv and it really works well for me. However, i wonder why the premium ones cannot be for free and release the keywords for website owners and as well for commenter. I really appreciate this review post. I have been using CommentLuv for so long but of recent, I came across this blog and I saw the premium functions and it 'wowed' me. It is really a nice way of getting comments and at the same time, having your commenters promote your blog posts. I will be going for the premium very soon. Hi, Oyedepo John. I share the same sentiments, too. I'm currently officially envious of those who use the premium version and would love to be one of them soon. For now, owing to budget constraints, I'll have to make do with the lite/free version. I have not seen a plug-in about that I can say all in one. comment Luv Premium have amazing performance. 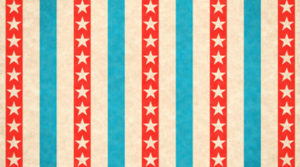 I have been using the free version for sometime on my personal blog and I like it very much. But I am still on the edge when it comes to deciding on the comment love premium version. I know the price is not huge... Maybe someday I might decide to go for it.